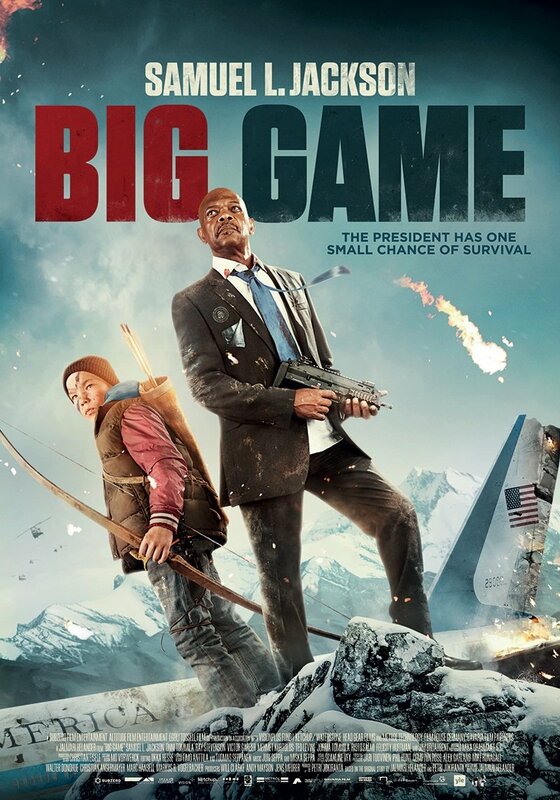 If nothing else, Big Game sure is a strange little movie. On one hand, it’s a throwback to the big dopey high-concept action movies on the 90s. On the other hand, it’s also a small and quirky little foreign film that just happens to be populated by big Hollywood actors that features a premise that would have made Jerry Bruckheimer and Don Simpson leap up from their piles of cocaine in the late 80s to spend all of their money on making the dream a reality. 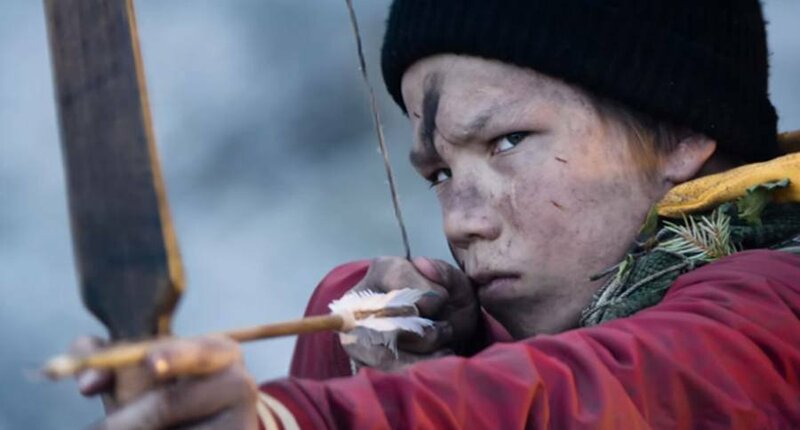 As a followup to Rare Exports, it definitely confirms the talents of wacko Finnish director Jalmari Helander and his pint-sized star Onni Tommila, but it also confirms that the scale of the director’s ambitions are starting to grow beyond the resources that he can muster in his homeland. 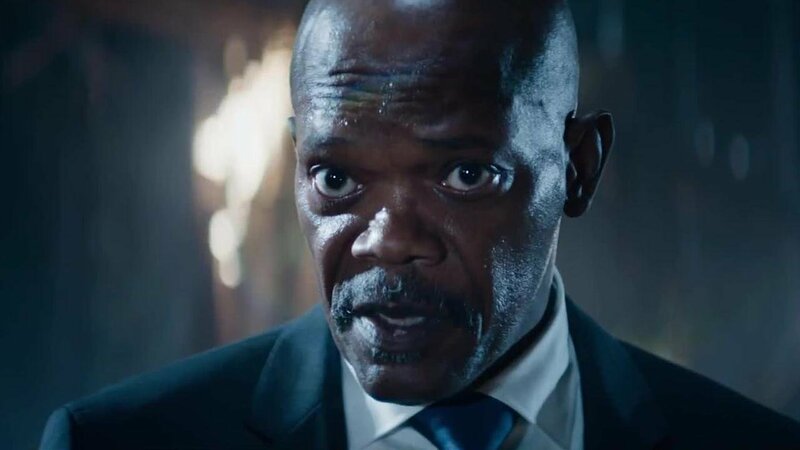 Samuel L. Jackson stars as the president of the United States in a casting decision so damn perfect that it’s amazing no one thought to do it before now. 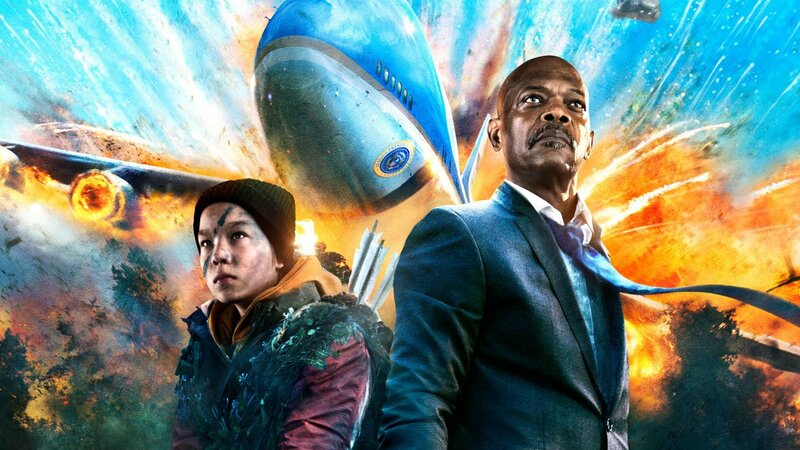 Jackson is in the middle of a cross-continental flight aboard Air Force One when his top security officer (Ray Stevenson) pulls a dastardly trick and betrays him. Stevenson launches Jackson out into some isolated mountains before crashing Air Force One and killing everyone inside. The plan? Stevenson has made an outrageous sum of money by setting up Jackson to be the prey of a psychotic terrorist/big game hunter. How is President L. Jackson ever going to get out of this jam? Well, how about with the help of a teenage boy? You see, in a delightful coincidence, Onni Tommila has been left on his own in those same mountains as part of a strange multigenerational hunting ritual by his father. He’s got one night to prove that he’s now a man and saving the president is just the thing that will get the job done. At the same time, we also get to see a team of the president’s best men (played by veteran actors like Jim Broadbent, Ted Levine, Felicity Huffman, and Victor Garber) panic while watching it all on big screens at the Pentagon and desperately trying to get things straight. If you’ve seen Helander’s previous feature, Rare Exports, you’ll have a certain idea of what to expect from Big Game. That nutty directorial debut was part Santa Claus 80s monster movie, part local eccentric Finnish comedy, and part parody of itself. Big Game essentially attempts to try the same tricks, only with big dopey action movie tropes subbed in for 80s horror homage. When the movie works, it plays like gangbusters. Helander knows the exact mix of sincerity and irony with which to play out his B-movie homage. It’s a movie well aware of it’s own ridiculousness, yet never so self-aware that it enters into the realm of outright goofy parody. The actors play everything completely straight, which both sells the action movie stakes and makes things even funnier. 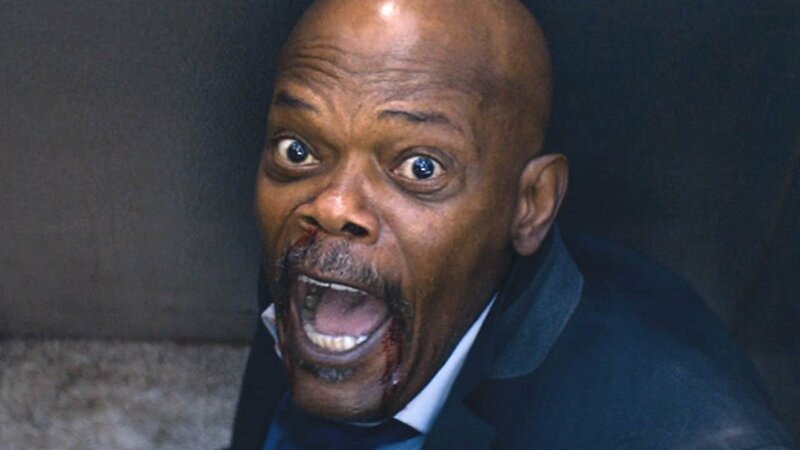 The biggest joys come from the scenes in which Sam Jackson commits fully to the insane situation along with the talented stone faced youngster Tommila. They never tip how funny the film truly is, they treat it all like natural drama and are endlessly charming together. The gang of character actors at the Pentagon play things just right as well, with Ted Levine in particular, delighting in his weird balance of goofy seriousness. When Helander gets around to staging his big action set pieces, they too are an absolute blast. Scenes like the one in which Tommila and Jackson tumble down a mountain in a freezer have just the right mix of slapstick and genuine thrills. The trouble is that do to budgetary constraints there just aren’t enough of those sequences. The movie definitely looks big and beautiful at all times, but you can count the number of big action scenes on one hand. That’s simply not enough for this type of movie (you should be able to count the number of minutes between those action scenes on one hand). Helander fills the rest of the time with his deadpan genre homage and snarling characterizations, all of which work, but the pacing just feels a little off. 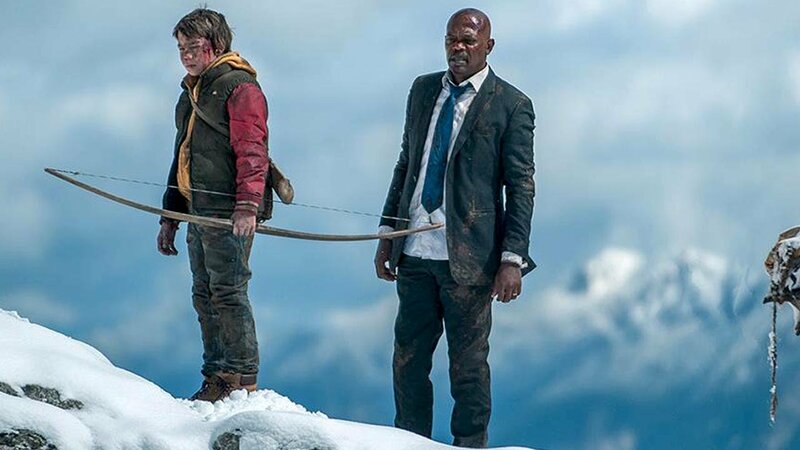 The odd thing about Big Game is that it’s a big dopey genre movie for fans of quirky outsider filmmaking (the same could be said of Rare Exports). It definitely makes for a unique experience that defines Helander as an interesting new filmmaker. The problem arises in audience appeal. 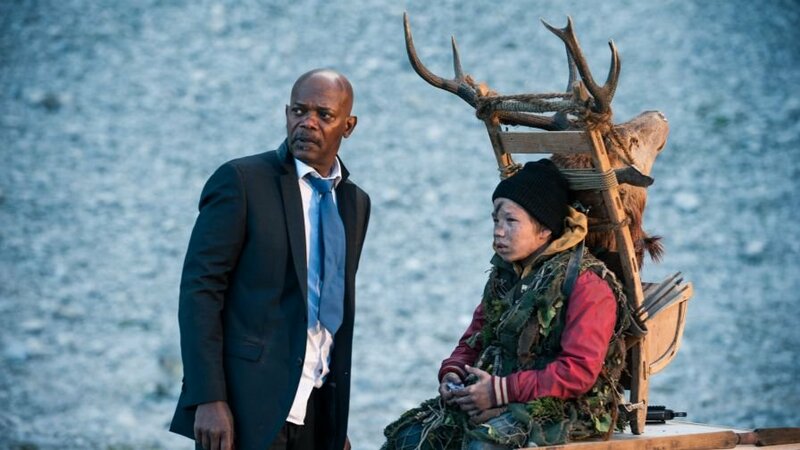 Most of the people who tuck into Big Game for a big goofy Cliffhanger experience might feel underwhelmed, while viewers seeking out an oddball foreign film might feel the deliberately dumb action flick is…well…a little too stupid. There is a small selection of viewers that fit into Helander’s Venn diagram who will appreciate the weirdo art/trash movie that he delivered, but at a certain point in his career he’s either going to have to move to Hollywood and gather up enough money to go full stupid or start to strip away his genre trapping to embrace something more artful. Big Game and Rare Exports might pull a lot of fun out of their tonal contradictions, but these games are going to get tired soon unless Helander is willing to embrace one side of his filmmaking instinct over the other. Be sure to read our interview with Jalmari Helander and Onni Tommila. The odd thing about Big Game is that it’s a big dopey genre movie for fans of quirky outsider filmmaking (the same could be said of Rare Exports).